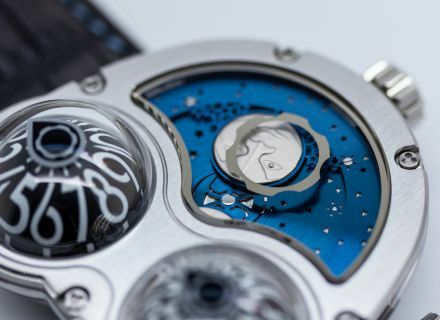 MoonMachine is what we call at MB&F a ‘Performance Art’ piece: one of those special occasions when we ask an external artist or designer to reinterpret one of our existing Machines. 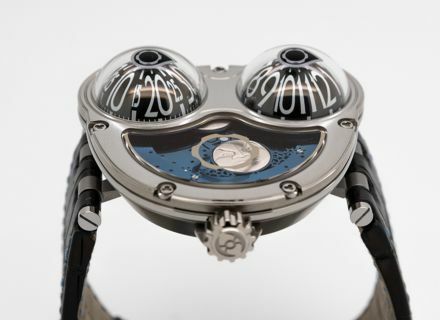 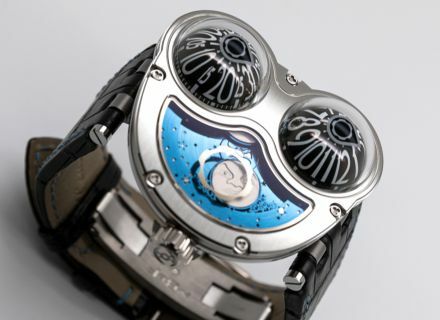 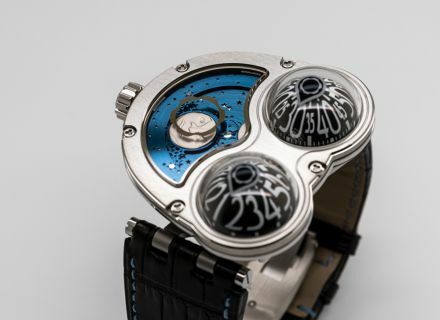 In this case, the Machine is the legendary HM3 Frog – reinterpreted by the talented Finnish watchmaker Stepan Sarpaneva. 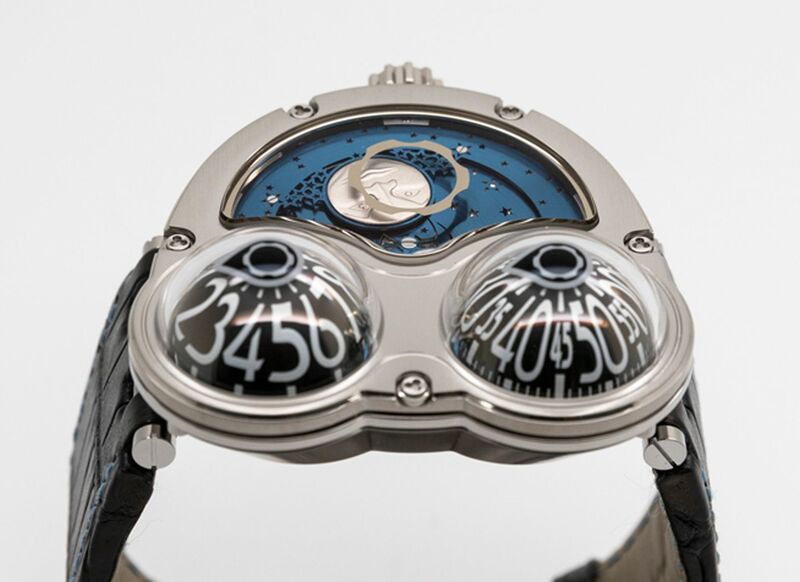 To create MoonMachine, Stepan reconfigured the HM3 Frog by turning it 90° and adding his signature design elements: most importantly, his unmistakable moon-face/moon-phase indicator. 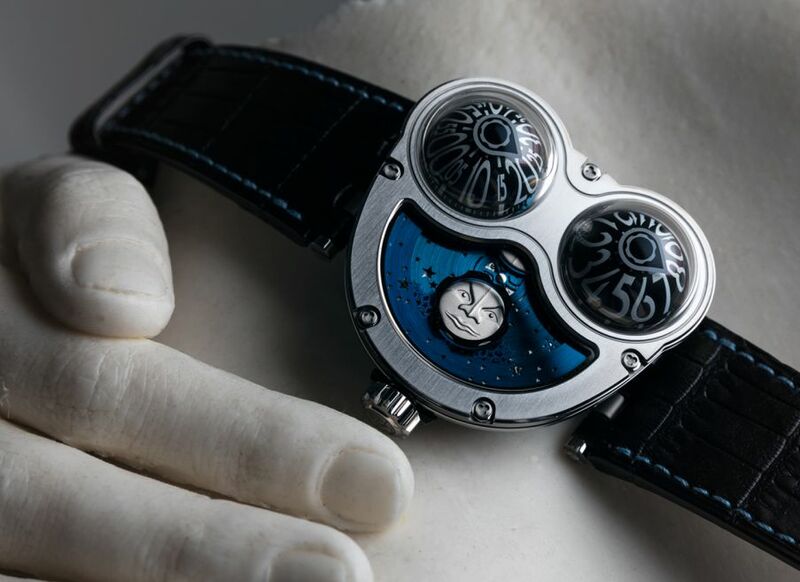 He also transformed the dial-side winding rotor into a scintillating firmament of laser-pierced stars, forming constellations visible in the northern sky. 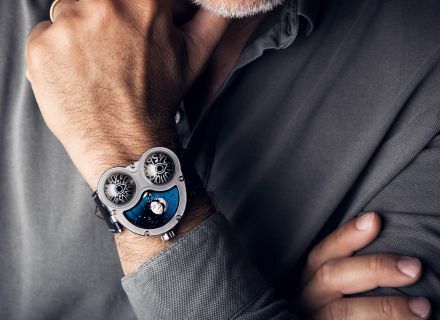 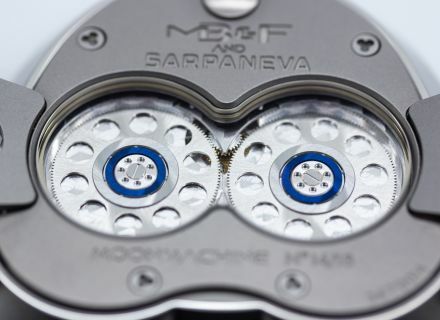 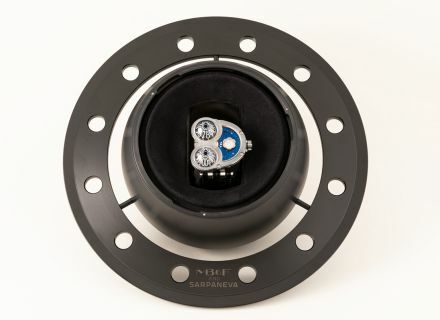 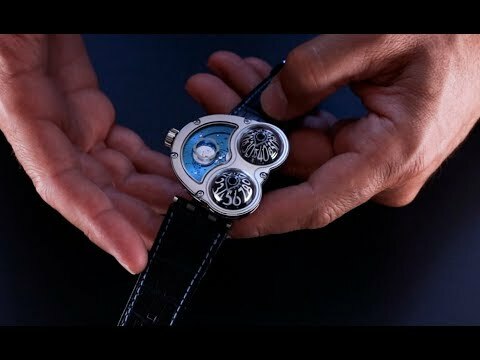 As always with Performance Art pieces, MoonMachine is an absolutely hybrid timepiece, combining two worlds: it is instantly recognisable as an MB&F, but also 100% Sarpaneva. Two independent watchmakers in a single piece! 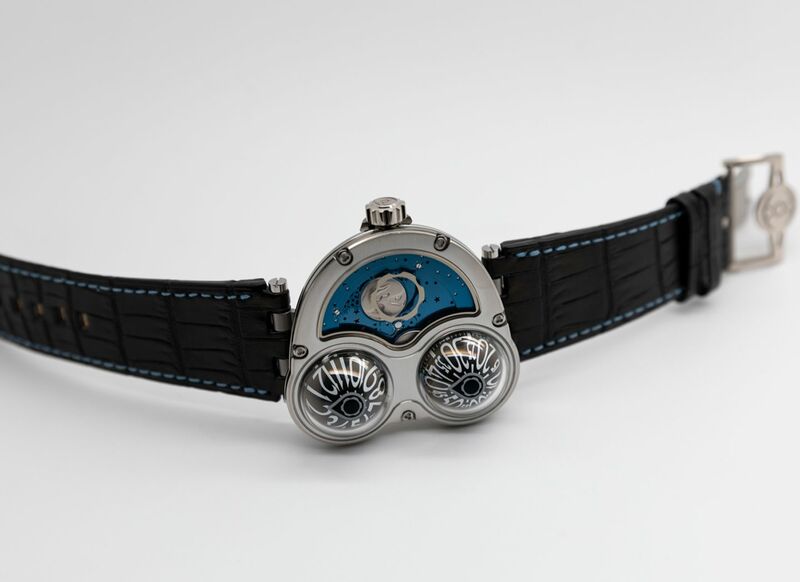 This titanium edition with light blue sky was limited to only 18 pieces.